Please be aware that this product can only be shipped to the following countries: Austria, Germany (except Wellpower-CHECK), Switzerland, Slovakia, France, Italy, Belgium, Bulgaria, Denmark, Finland, United Kingdom, Croatia, Luxembourg, Netherlands, Poland, Romania, Sweden, Slovakia, Slovenia, Czech Republic and Hungary! Developed for a new generation of aerial work, the Mavic 2 Enterprise is a versatile tool for creating modern workflows. Be an industry leader. With limitless possibilities. Discover more options for flight applications with the special connection for expansion modules1. The connection allows the attachment of additional accessories and allows you to tailor performance for critical applications. Communicate directly with the ground crews during missions, pilot pilots and forces on site effectively through the mission. People search easier than ever thanks to dual headlamps for use in dark environments. Perform nocturnal missions with greater security as other pilots can easily spot the drone in the field. Your flight safety. Our most important goal. From take-off to landing, we've redefined the connection from pilot to drone and environment, ensuring you can always fly safely and productively. Your aircraft with your data. You retain control. Simply enter your password and you will have full control over the aircraft and its functions. The intuitive way of logging in always ensures access to the data in the aircraft and thus prevents unauthorized access to sensitive data. Always in the picture about the immediate airspace. DJI AirSense avoids dangerous situations and improves airspace safety with immediate warnings about manned aircraft in the vicinity. Fly safer than ever before. The improved FlightAutonomy system allows omnidirectional obstacle detection.2 It consists of 8 high-resolution visual sensors and 2 infrared sensors on the sides of the Mavic 2 Enterprise. The result? A powerful set of sensors that determine the relative speed and distance between the aircraft and its surroundings. It enables even more stable flying and hovering under a wide variety of complex environmental conditions. The advanced pilot assistance system (APAS) automatically detects objects near the drone during flight and avoids objects automatically, even in tight environments. Refined image acquisition system for tactical and practical use. The conception of the image acquisition system was focused on two characteristics: Support of pilots during missions at the target and ensuring that the security of the recorded data is guaranteed. Visualize deployment scenarios in real time and now measure objects even more efficiently from a distance. Always be on the safe side with your decisions. For improved visibility of the recorded data, the display can be limited to a certain isothermal range. Isotherm allows a more precise display for different applications. As on a mobile device with iOS or Android, the drone stores GPS date and time stamps of the recording in the image files. This enables applications in institutions or industries that require temporal accuracy and precision. Absolute mobility. Full performance at all times. Compact enough for use in any situation - when duty calls. Carefree flights thanks to advanced control mechanisms. The controls are specifically designed for the best possible flying experience. OcuSync 2.0 - Less interference. Improved transmission. Experience the best possible flight performance - with OcuSync 2.0. The improved system is able to automatically switch between frequency bands4. This not only ensures a reliable and safe flight, but also an improved video transmission up to 8 km at 1080p5. FOC ESCs and propulsion system - Graziler flight. 24GB of internal memory - more freedom for your operations. Built-in 24GB memory allows you to store more mission data without having to worry about constantly changing SD cards. Investigation Mode - Ready for action. This mode allows you to turn off the drone's entire LED lighting for inconspicuous operation, especially at night. Fight fires and save lives through more mobile and flexible access at the scene of a fire. Use operational data to effectively combat crime and improve public safety. Find missing persons and react tactically in emergency situations. Perform inspections of critical infrastructure with greater security and overall speed up routine operations. More efficient inspections and more security in the verification of communication infrastructure. Gain a better overview of complex buildings without having to get too close to the object. The powerful DJI Pilot App was developed specifically for companies to access the full potential of the aircraft. 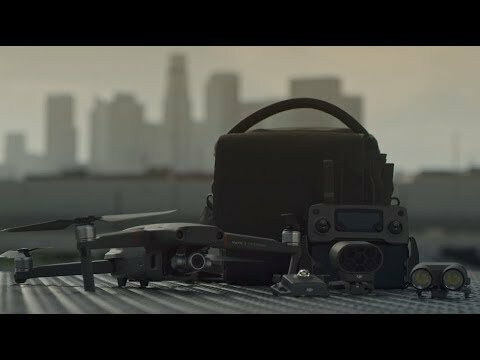 The development of the DJI Pilot App has been especially designed for the Mavic 2 Enterprise, for constant professional performance. DJI FlightHub is an integrated solution for drone mission management, as well as for scaling larger flight deployments in larger organizations. Native compatibility with the Mavic 2 Enterprise, DJI FlightHub can be integrated at any time into the daily task routine and thus further increase the operational efficiency of the drone fleet in your organization.